With the return of the warmer weather, your little darling won't say no to a holiday in the great outdoors!! Our choice of holidays for the Easter period is designed to appeal to him or her! 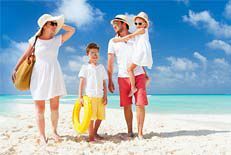 April and May 2016, sports, multi-activity or themed holidays (horse-riding, football, motorbiking, cooking, quad biking, skiing, cinema, film...) There is something to suit every child in our large choice of holidays! Our holidays are certified by the DDCS (formerly DDJS).